On the northeast side of Florence, there is a narrow, unassuming street called Borgo Pinti. 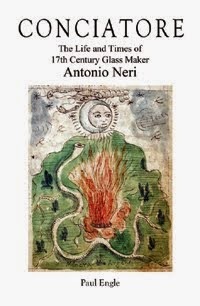 Here there are two structures in particular which are of great interest in the study of seventeenth century glassmaker Antonio Neri. The first is the family’s residence at number 27, now a hotel, but largely intact and the second is the church located a few steps further north, now known as Santa Maria Maddalena dei Pazzi. In the sixteenth and early seventeenth century, the church was part of a Cistercian monastery known locally as “Cestello” It was attended by Antonio’s royal physician father Neri Neri, his grandfather, Jacopo and it is safe to assume, the rest of the family. This is where the medical doctor would later be buried. In 1598, he was laid to rest in the chapel that Poccetti and Passignano reworked to his specifications; both were well-respected fine artists of the time. One author would later refer to the space as “the famous Neri chapel.” The royal physician asked, in his will, that his remains never be moved outside of his beloved homeland. He provided money for what amounts to a complete restoration of the entire property. The work in the chapel and the main church was a top to bottom renovation and must have taken several years to complete; today it is considered Poccetti’s crowning achievement. In earlier times, the monks of Cestello had played a trusted role in pre-Medicean Florence, collecting and counting the beans used in votes of the Signoria (town council), and holding the keys to the Palazzo Vecchio. The chapel and the church still stand, but the occupants changed in 1628-29. Pope Urban VIII was seeking better accommodations for two of his nieces who were Carmelite nuns on the other side of the Arno River at San Frediano Monastery. He asked that the Cistercian brothers, against their protestations, exchange properties with the nuns, who brought with them the remains of Sister Maria Maddalena de’ Pazzi, the influential mystic who died in 1607. The church was renamed in her honor after canonization in 1669. In 1598 Doctor Neri remodeled in more honorable form the chapel which was originally built by Tommaso del Giglio, in the year 1505, which had since become occupied by the cobblers guild, who had begun to meet there and which he feared they wanted to usurp. Maestro Neri approached the Grand Duke [Ferdinando I] in order to have authority to free it from the hands of the cobblers and enlarge and redo it from the foundation and have it all painted in frescos by the hand of Bernardino Poccetti and dedicated to the honor of Saints Nereus and Achilleus. Far more than the mere renovation of the chapel, the royal physician played a central role in the rehabilitation of an ancient and venerated church, a church that today continues as a testament to Poccetti’s great talent. Tommaso del Giglio, the former owner of Neri’s chapel and successful apothecary supplied Cestello as well as many Florentine hospitals with medicines and other staples. That the cobblers had occupied the chapel might seem strange. What possible claim could the band of shoe-makers have to this space? The simple answer is that Del Giglio was himself a member of their guild, perhaps the cobbler’s most famous member. 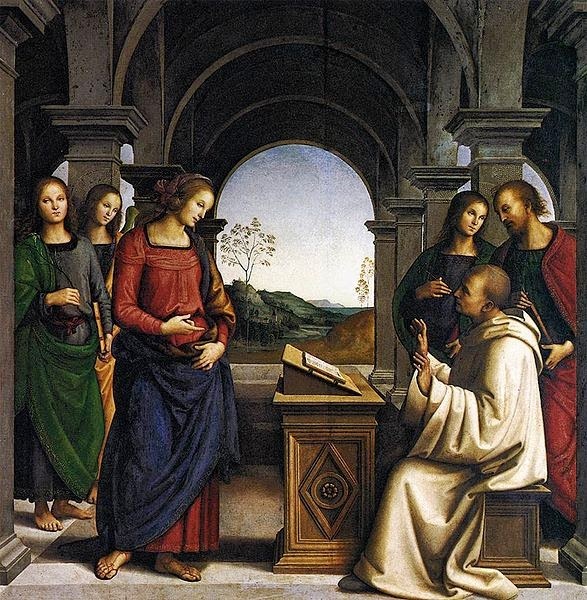 About 1462 he moved his family to Florence from Montevarchi, where he was trained as an apothecary. For whatever reason he could not gain membership to the guild in Florence, so instead he joined the subordinate cobblers’ guild but retained his practice as an apothecary. He was still subject to the rules, regulations and periodic inspections of the authorities. Eventually he attained the honor of apothecary to the ruling Medici family. A century after his death, it seems the chapel and the church itself was falling into disrepair; the cobblers, with the family’s blessing met there on a regular basis. The Cestello monastery, of which the church was a part, served as an early home to the famed Accademia del Disegno (Florentine Academy of Design). The city’s greatest artists, sculptors and architects were all members, Giambologna not least among them. The rooms of the monastery were used to store artistic works and teach classes. For the members it served as a place to meet and plan projects for the city and royal family. A young Galileo Galilei would study mathematics here under Ostilio Ricci. It is unknown if the Neri chapel serves as the last resting place for the children of royal physician Neri Neri, among them his most famous son, glassmaker Antonio Neri, who died in 1614 at the age of thirty-eight. * This post first appeared here in a considerably shorter form on 28 August 2013.